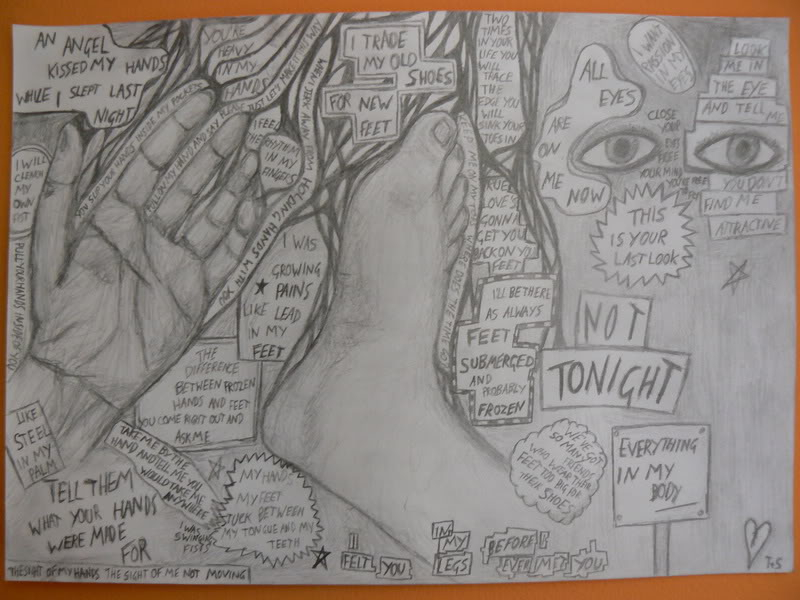 I say, is that a lyrical collage-drawing I see? Amazing! I love how the lyrics go hand-in-hand with the specific image. I love it! Aww thanks guys, you're too nice. It was totally random how it came about, I was sitting on my bed wanting to draw and listening My Number and I couldn't think what to draw, so I drew my foot which was right in front of me, and then doodled down the 'trade my old shoes for new feet' lyric, because I always loved that line, and it kind of grew from there. read each different lyric each different way haha. Oh and of course, I had to sing each in my head. That was a little overwhelming, but in a good way.